H20 Building Services identify a water bill with a £33,000 overcharge. Where a business is paying for water and waste water charges based on actual metered usage, the very last thing a business needs is being landed with a water bill that is £33,000 over budget, which is exactly what happened when H20 Building Services received a call from a business concerned about high water charges. A vehicle dealership took occupation a year ago and a year later received their first water and waste water bill for £53,000. The general manager of the site called water industry experts H20 Building Services and asked us to carry out further investigations as to why the water bill was so high. The site was a brand new construction and with new water pipes and infrastructure the client thought any water leaks were out of the questions and the suspicion was that the water company had sent an incorrect water bill. The water audit team at H20 Building Services completed a series of checks by asking for copies of the water bills to date, the water bill recorded a reading of 16,020 cubic metres over 347 days and therefore the consumption for this typical operation was deemed as excessive. Therefore water meter readings were requested, one meter reading when the business closed for the evening and another water meter reading taken when the business opened its doors the following morning. 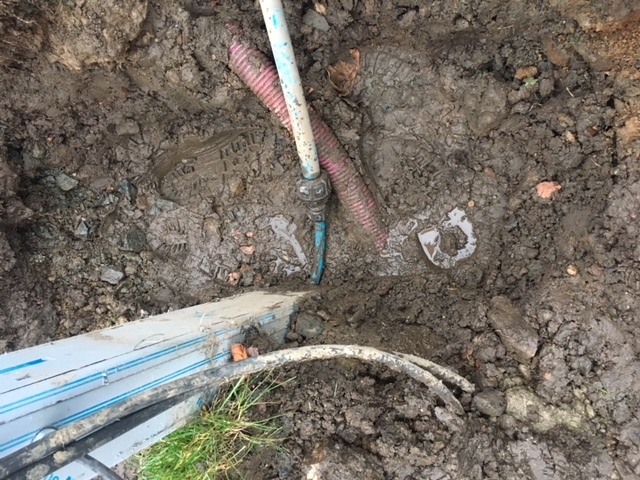 An underground water leak was detected on a plastic joint on the water supply to a valeting point, this was a poor quality installation by the building contractor. Needless to say H20 Building Services audit team will be submitting a claim to the main construction firm for the excess water charges incurred by the business due to poor workmanship and the costs of the water leak detection survey totaling £34,000. A water leak caused a £33,000 excess water bill.